Want to know what your current boyfriend or girlfriend will be like as a husband or wife? The answer to this question could be the most important piece of information to consider before marrying your boyfriend or girlfriend. Or letting your kids marry their boyfriend or girlfriend. And the best part? The answer to this question can be said in one sentence. 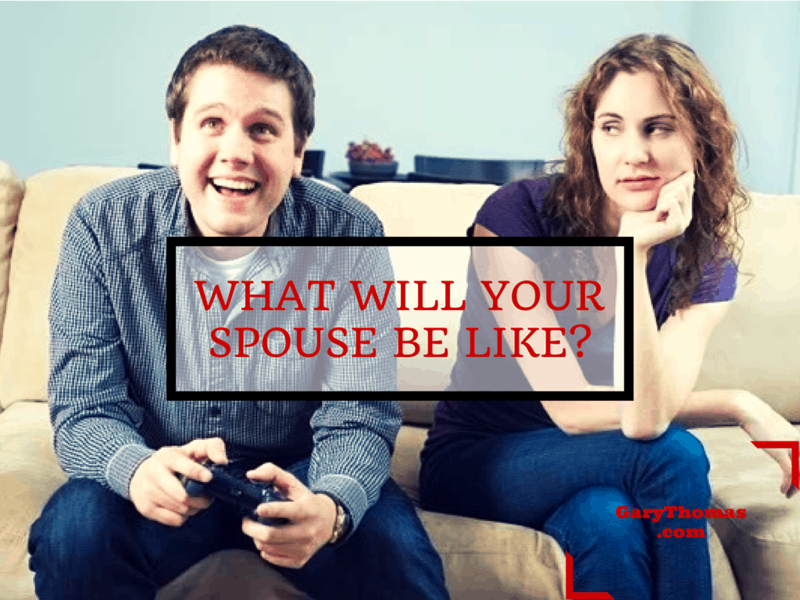 What will my significant other be like as a spouse? It’s as easy as that. What are they like now? Does she fall apart when things don’t go perfectly? Does the slightest disappointment lead her to act like nothing ever goes right? That’s what she’ll be like as a wife. Does he check out of life when he’s under stress, escaping into video games or worse? Then that’s what he’ll do as a husband. Putting a ring on someone’s finger doesn’t change their brain—it just means you now own their issues. How could she not expect that? Did she think marriage would “cure” her husband of his fascination with a passive past-time? Remember: the brain doesn’t change just because you put a wedding ring on someone’s finger. A man who married a younger woman was frustrated that she was a bit messy. Well, maybe more than a bit. The thing is, she didn’t notice the mess, and she didn’t even seem to care. But guys, when a girlfriend’s apartment or bedroom is constantly messy, do you think a diamond ring and a thirty-minute ceremony will suddenly turn her into a neat-freak? Really? If you want to know how your boyfriend or girlfriend will behave as a spouse, honestly examine how they have behaved after their infatuation with you died down (infatuated people are a little more motivated to put up a false front). If you get engaged and/or married in the flush of infatuation, just realize you don’t really know what you’re signing up for. You might get lucky—or then again, you might not. Remember the Wilke dictum: the best predictor of future behavior is past behavior. Sharing this with a friend or family member currently in a serious relationship looking to move forward could save them a world of trouble. Or at least help them realize that the problem needs to be solved before getting married, not after. I have enjoyed many of your books, your blogs etc. and learned a great deal. However, there is one subject I have yet to see written about, addressed etc. by you or anyone else. I am a wife with a serious, potentially fatal illness. I didn’t plan on this when my husband and I got married. Yet it came anyway. I just don’t know how to be a wife now. I am often so sick I can’t even sit up. Yet, my husband lacks sympathy, compassion, caring. He takes me to doctor apt.’s but we still fight, and it is usually over the same thing. He seems to blame me for every problem in our marriage and it is me who has gone to great lengths to try to improve things. I am a big believer in that anything good about me, any good I do is only because of the grace of God leading me and that apart from Him, there is no good in me. We are both Christians, but our problems seems to center around his criticism of me. I feel as if no matter how hard I try, I can’t do anything right. I try so hard, though I don’t admit to being perfect or even close. My relationship with God- I seek to keep number one in my life. Yet, I feel terrible about myself because of what my husband accuses me of, says about me and how little he stands up for me- when I am criticized (the illness I have is very rare and most people have never heard of it. I never had until I was diagnosed with it. . Pity is not what I seek or desire in the least. I’m writing this to you to understand and as I said because I have yet to see a topic like this addressed. I already know ahead of time that anything I suggest, mention etc. will be something he does not like. He goes through times when he won’t talk to me, is moody and only acknowledges my presences when I fall, can’t get up or am up in the middle of the night very sick. I am getting to where I try to hide this as much as possible. He also does not keep his word to me. We agree to read a book together (many by Dr. Emerson Eggerich’s), then he backs out. I pray a great deal about our marriage, I seek to serve as much as possible. He has finally agreed to go to counseling with me, but as soon as the least little thing does not go his way, he does not keep his word. I would be honored to see a post by you this that addresses this issue. Besides being aware of their behavior while dating, I would also suggest spending time with their parents. It’s amazing how much we become like the parent we are closest to. My older brother gave me a piece of marriage advice years ago: If you don’t like the mom, don’t marry the daughter. I recently read your book The Sacred Search and greatly appreciated your insight. One question I have, however, concerns compatibility. Specifically, I understand physical compatibility, recreational compatibility, and environmental compatibility, however, the relational compatibility section leaves me in the land of personal ambiguity. In general, I feel like women and men communicate radically different from one another, especially if they grew up in a Christian context. For instance, Christian women have likely spent their entire lives forming deep and meaningful relationships with women. In contrast, Christian men have likely grown very close and acquainted with how deep meaningful relationships develop and mature with men. Due to the inherent differences in experiences and conversations types between the two genders, is there not some expectation that generally men and woman might not be on the same page in terms of communication/personality with one another in a dating context? Can one even go as far to say that initially, their might always be a measure of relational incompatibility in the beginning of the dating relationship? Given this context, what would be considered relational compatibility red-flags that go beyond perhaps the differences in gender communication/personality styles? Thanks so much for your Godly work in this area! Do you do speaking engagements? If so, can you email me cost etc. Thanks for asking. I speak all the time. For costs and availability you can contact Laura at laura@garythomas.com or call her at 360-676-7773. Thank you for Gary Thomas. And please take the truth you’re sharing to him to every unmarried boy and girl before it’s too late. And while you’re at it, please bless the socks off his entire family. Will be sharing this post with the Future Marriage University (FMU) community at https://www.facebook.com/FMUniversity. Well thank you, Michael. 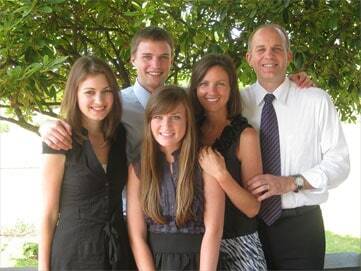 And since my son is getting married in 7 days, I’m particularly grateful for the prayer about God blessing my family! Soldier on, brother.